Join a private tour and admire the wonders of the Vatican City! Visit Rome with a Private Guide and be enchanted by the eternal city! Rome is the capital of Italy also in terms of culture and art. Since its foundation 753 BC, it has been an attraction center for painters, sculptors and artists worldwide. A Private Tour is the best way to deepen into the knowledge of Rome, the "Eternal City". Every corner of Rome tells its story and with every step you will discover the facts and events that make it unique. The Roman Museum Complex includes museums such as: the Colosseum, the Palatine, the Roman Forum, the Borghese Gallery, the Thermae of Caracalla, Palazzo Massimo, Palazzo Altemps, the Thermae of Diocletian, the Crypt Balbi, the Vatican Museums and the St. Peter’s Basilica. Why booking a private tour? Booking private visits to the museums has become fundamentally important. The Private Tours are designed to give you an in-depth experience and knowledge of the history and culture of Rome. 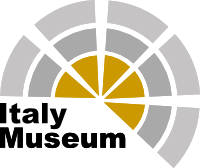 Rome Museum organizes Private Tours according to your requests. Private Tour organization considers departures, languages and places to visit. An expert and authorized guide will be at your disposal, and the guide will accompany you through the streets of the city and inside the museums to show you the most important and distinctive locations. 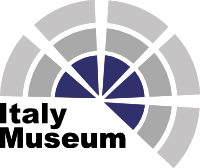 Based on specific customer requests, Rome Museum organizes Private Tours with different itineraries than those proposed. Most Private Tours includes visits to the museums interior. You will greet the guide at the meeting point and together you will walk through the beauties of Rome. In case the visit provides entering to a museum, the tickets will be booked in advance to avoid the long waits due to the queues at the entrance. The meeting point will be communicated in advance on the confirmation voucher, along with the tour details. By prearrange and prepay the Private tour service; you could meet your guide directly in your hotel if it is located within Rome’s center, or arrange a private transport with a minivan or private car from a location outside Rome to reach comfortably the established meeting point.